Matchsticks for my eyes has done a great design analysis of Armageddon Empires. Occult Chronicles is all about exploration so I’m hoping it scratches that itch as well as AE did. I’ve also thrown in a what’s behind curtain #1 slot machine type mechanic. There are no rolling apples, oranges, stars etc. but each time you have to determine a reward or punishment you start turning over 10 face down cards. How many you can/have to turn over depends on how well you did in the Tarot card challenge. A rare few encounters have the “Instant Death” card hidden among the 10 face down cards. It’s like that card that will kill you instantly in Dungeon Quest….the huge scything blade one…but you feel like you had a choice rather than just picking it from the top of the deck. Good times. If ever there was a kickstarter project to get behind this is it. When they are playing a game, these guys are funnier than the two guys in the movie “Step Brothers.” I’ve always thought I would love to see a Tom vs. Bruce magazine so this was my chance to contribute to helping that dream become a reality. Please check it out and consider contributing. I really want to see them play some board games like Twilight Struggle or Hannibal Rome vs. Carthage. I apologize for the lack of updates to anyone who still checks this blog for something new here. Six Gun Saga is taking a lot longer than I had expected and I knew I was cursing myself when I hazarded that “couple of months” guess on when it would be finished. I’m going to put this blog on a hopefully short hiatus until I have something positive to report. I’ve come up with a way to re-size the viewing space for both Armageddon Empires and Solium Infernum to 800 by 600 so that it can function on netbooks which usually have the resolution height fixed at 600. The results are not as pretty as the regular resolution but everything seems to work just fine. If you want to give your copy of the games a go on your netbook you can apply either of these two “mods.” If you have any feedback then you can either email me at my info or support emails or just post in the forums. After you download the .zip file you must overwrite one file in the install directory for each game. The install directory is typically C:\Program Files\Cryptic Comet\Game Name i.e. 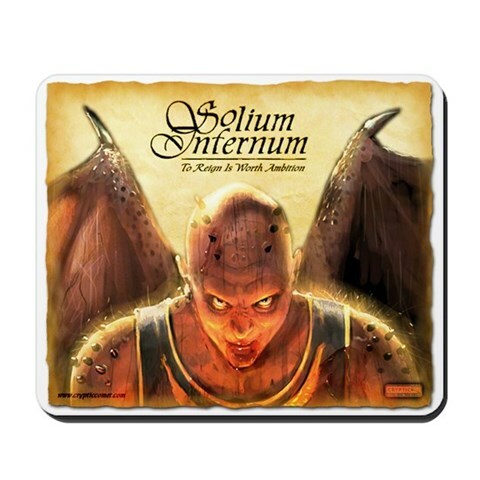 Armageddon Empires or Solium Infernum. IMPORTANT: The mods ONLY affect full screen mode and will not work with the windowed executable. The mods compress the view area into a 800 by 600 view space so that there is no clipping on a netbook. Thanks to all the crazy people who have purchased AE and SI. Tom Chick and Jason Lutes talk about SI and AE but make sure you listen to the whole thing as the discussion of emergent narrative is absolutely awesome and thought provoking…especially the examples cited. I’m in the early game design planning stages (when I get burned out on bug fixing and AI tweaking stretches) of my next project and emergent narrative is going to be a big part of the experience that I want to provide. ….Where the real money from the game is made. I made a mouse pad a while back but like so many things I never really finished it off and got a Cafe Press shop online and integrated into my Cryptic Comet website. I do have a shop up now. You can catch it here if you want to check out the mouse pad. My idea is to add some coffee mugs, another mouse pad and maybe a flame thrower. If you have any favorite images from AE that you would like to see on such bling bling then let me know by replying to this thread in the forums. List your top 5 or so images and I’ll make a tally to get an idea what the most popular images are. Then I’ll try and get some merchandise up on the Cafe Press shop. Needless to say, AE is not the most user friendly game to mod so just getting this to work is really an accomplishment. The whole thematic approach though is what really sends it over the top. 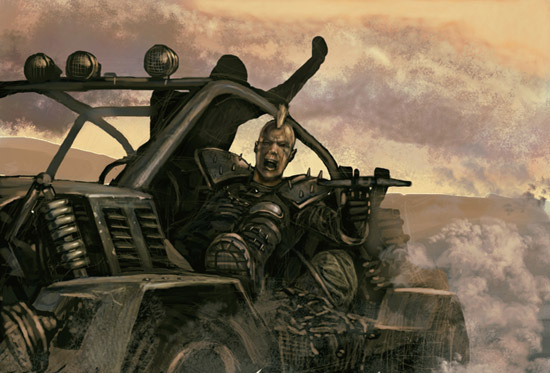 If you ever wondered what it would be like to throw Casca, ExU-88 and the Duke together and run around the map with Dune Raiders then this is the deck for you. 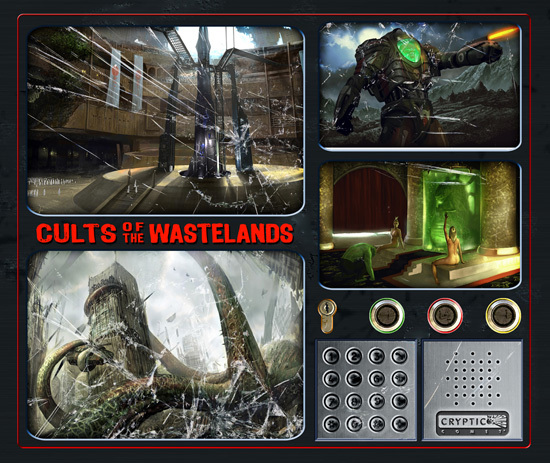 Just a word of warning though, make sure your wasteland skills are up to snuff. It’s not really an easy deck if you don’t really know your stuff. You are currently browsing the archives for the ArmageddonEmpires category.